Anish Kapoor’s ‘Tall Tree and the Eye’ sculpture sits strikingly outside Bilbao’s iconic Guggenheim museum. 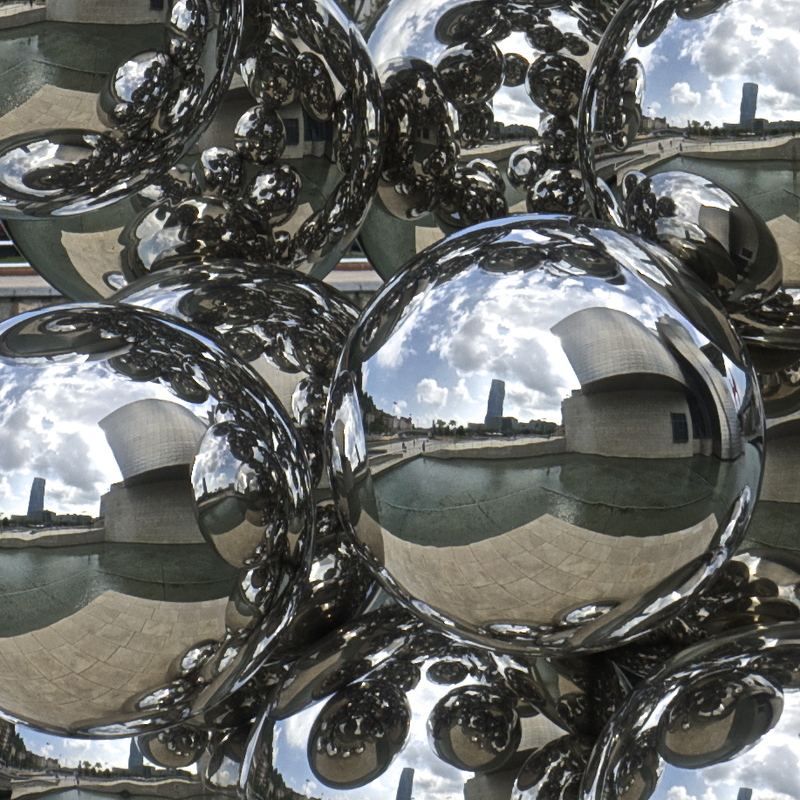 While gazing at its many orbs, I thought I could get a nice shot of Guggenheim reflected in the balls that make up the sculpture. While composing the shot, I noticed that I could also capture Iberdrola’s (huge Spanish energy company) headquarters. When visiting the museum, it’s immediately notable that the two striking and dominant buildings in the area are Iberdrola’s HQ (a tall tree) and the Guggenheim (very much for the eyes). The connection between the sculpture and its surroundings struck me as interesting, so I took the snap and here it is.